Kevin Larson, Research Scientist, Plainsman Research Center, Colorado State University, manages the long-term research plots in Walsh, Colorado. He has experience trialing different cover crops in his high ET environment. Ron Meyer, Area Agronomist, Colorado State University, has extensive knowledge of dryland cropping systems agronomy. 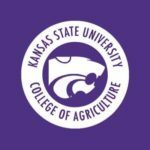 Dr. Augustine Obour, Assistant Professor of Soil Science, Agricultural Research Center-Hays, Kansas State University, has experience in soil management and cropping systems research focused on tillage, crop rotations and nutrient management issues in limited precipitation environments. Steve Rosenzweig, graduate student, Department of Soil and Crop Sciences, Colorado State University, is conducting research to understand the factors that influence farmer decision-making, as well as developing a short film to document strategies that have enabled successful transitions to more intensified rotations. Dr. Meagan Schipanski, Assistant Professor of Agroecology, Dept. of Soil and Crop Sciences, Colorado State University, has experience conducting research on cover crop-based systems focused on the effects of crop diversity on soil health and nutrient cycling. Dr. Arathi Seshadri, Assistant Professor of Pollinator Biology, Dept. of Soil and Crop Sciences, Colorado State University, is an expert in bee pollination dynamics in agricultural systems. Candy Thomas, State Agronomist for Kansas NRCS, serves as the technical advisor for the grazed cover crops project. Dr. Wilma Trujillo, Area Agronomist, Colorado State University, has expertise in soil carbon management of dryland cropping systems. Dr. Sarah Ward, Associate Professor of Plant Genetics, Dept. of Soil and Crop Sciences, Colorado State University, has experience with population biology and herbicide resistance in agricultural weeds. Angie Tucker, Research Associate for Dr. Meagan Schipanski, Dept. of Soil and Crop Sciences, Colorado State University, is the project coordinator and primary field technician working on the project. The grazed cover crop study is supported by funding from NRCS Conservation Innovation Grant #​69-3A75-16-002. Additional support provided by GreenCover Seed and the Colorado Chapter of the Soil and Water Conservation Society.